Lend Lease and Southwark Council have flouted public undertakings not to fence in the centrepiece of the Elephant Park redevelopment of the Heygate estate. The new ‘public park’ (falsely billed as the largest in central London for 70 years) is in fact just another example of a linear park - much loved by developers because they can line it with shops on both sides. This one will be no wider than the Old Kent Road at any given point. The proposal for a park drew a lot of objections1 and as a result the ‘no-fence’ undertaking was clearly given to the planning committee, when the Heygate masterplan was approved back in 2013. The commitment was subsequently enshrined in the S106 legal agreement for the development and specifically requires 24hr, 365 days/yr public access. It also prohibits Lend Lease from “installing gates railings or fencing” without prior written consent from the Council and even then it is clear that such a fence can only be temporary. 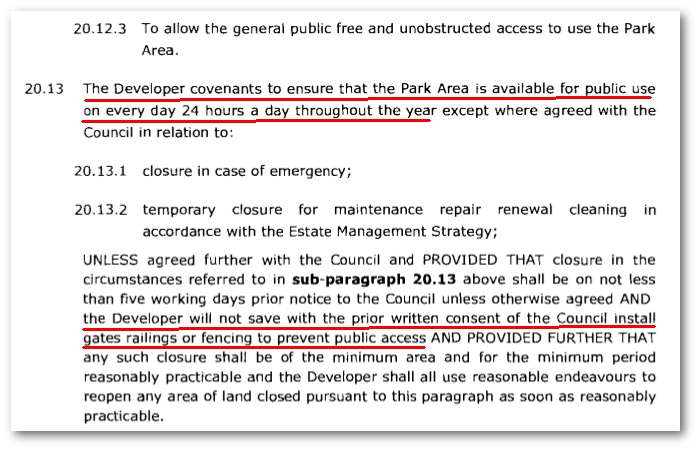 Despite all this, Lend Lease has just submitted a ‘Park Area Strategy’ to the Council for planning consultation that includes a 2-metre high fence, which can also clearly be seen in the consultation documents. 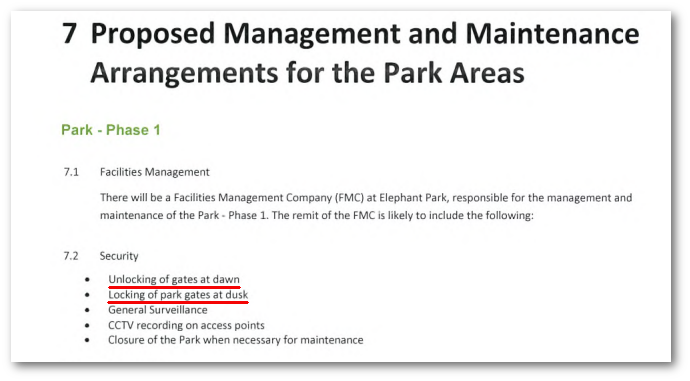 There will be no 24 hour access - the access gates will be locked at dusk and unlocked at dawn, by a Facilities Management Company (FMC) according to the ‘Park Area Strategy’. Elephant Park will eventually be linked to the the new market square, being built by Delancey as part of the neighbouring Tribeca Square scheme, just nearing completion. 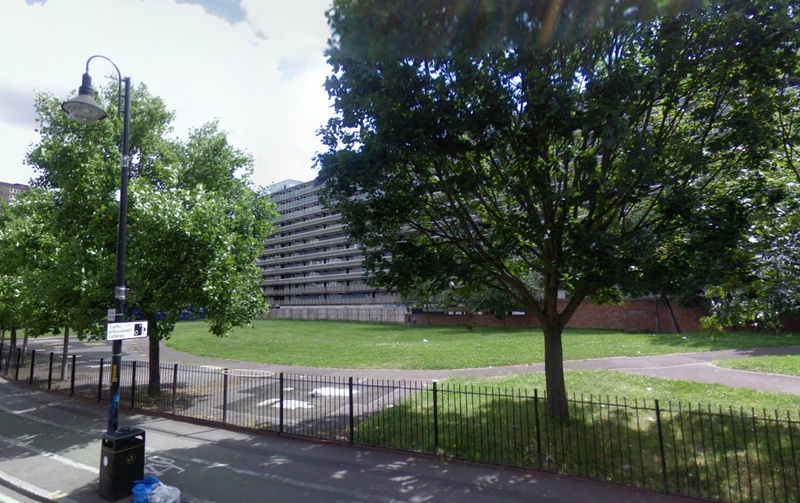 The square will be built on green space that was once part of the Heygate estate and was also known as Elephant Park. The original Elephant Park was part of the 2.4 hectares of public green and amenity space lost when the Heygate estate was demolished; designated as Metropolitan Open Land (MOL) it was used by the local Latin American football league, amongst others. In 2008, Southwark Council closed the Park and leased the land to Delancey for 99 years at £100 per annum (plus VAT), allowing them to use it as the Tribeca Sq site compound. Southwark will also receive 50% of the net revenue from the new market (25% for the first five years). In 2012 Southwark removed the MOL protective covenant by including the land within the area of the Heygate Compulsory Purchase Order. This sweet deal for Delancy sums up the way that developers are colonising the Elephant and Castle. Public land has been sacrificed to commercial gain and if Southwark’s overage agreement with Lend Lease is any standard, there is little hope that its net revenue agreement with Delancey will reap much reward for the Council.